you can visit Smush.it to optimize images but here also we have to upload and download images for optimization that is a hectic. In the latest version of Smush.it their is a new option of Bulk Smush.it which allows us to optimize our old images in the website that are not been optimized yet, the Bulk smush.it option is available in Media tab. 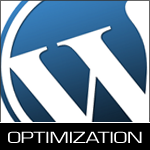 Hope you have liked the Optimize images article of today, you can also take a look at WordPress Optimization to give your WordPress Site a Rocket Boost in loading time.